I want you to think of someone you know. This is a person you really love deeply. It may be a spouse or child or long-time friend. Why do you love them? You share so much with one another. Sure, they make mistakes, but you overlook those because of all the positive you see in that person. You love them because they continually live up to your expectations, or even better, you have no expectations of them at all – you just love them for who they are. Now I want you to think of someone you can’t stand and you don’t love. Why don’t you love them? Do they not share the same vision for life as you? Do they continually make mistakes that you think are so simple to avoid? Do they not live up to your expectations? Do they offend you or do things that hurt you? Do they hurt the ones you love? Both kinds of people are very real in your life. Each of us have friends, children, relatives, coworkers, and even spouses that fit into one of the two categories. Either we love them unconditionally, or we don’t. Our world paints such a skewed vision of love. It is destroying our relationships every day. This kind of love is based on self-gratification. If you love someone just because they are good to you, or you hate someone because they are bad to you, both reactions are selfish in nature and therefore neither will lead to love. 1 Corinthians 13, when defining love, says it is not self-seeking. Not every relationship will be awesome. You will have coworkers you will have to put up with, but you are called to love them anyway. Your children may reject you, but for most parents there is not even a question as to whether or not you love them. You have acquaintances you can’t avoid because they are friends of your friends, but not avoiding them is not edge same as loving them. Marriages today are the most susceptible to demise based on this non-love that is being taught. We are constantly shown images of fairy-tale like relationships where both parties are blissfully happy forever. Not all marriages will be like this, and you need to know that it is ok. Your marriage doesn’t have to have all the movie-like bliss, but it does have to have love. 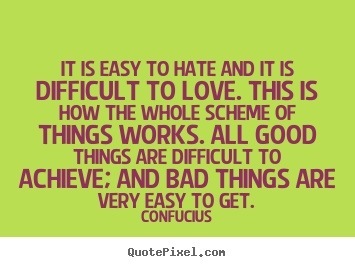 How are you treating those you don’t like? Are you thinking about those definitions of love? Are you loving them unconditionally? Jesus loves us in just that way. The bible says that while we were still enemies of God Jesus loved us so much that he died for us (Romans 5:6-11). Did you get that? We were the people who were unloveable, and for the most part we still are! We still sin and do what is against God’s will for us daily. We still don’t love those who are God’s children. We don’t deserve the love God gives to us, but He loves us anyway. He asks us to love one another in that same way. Imagine what it would be like to love like that. Imagine loving your coworker despite his annoying and offending personality. Imagine loving that homeless person even before you get to know them. Imagine loving your spouse despite all their countless flaws. Oh, and loving them doesn’t mean just putting up with them. Loving them is serving them and doing what’s best for them and speaking health and beauty into their lives. When we love like this then the world will know that we are disciples of Jesus (John 13:35). Then the world will want to know more about the love we’ve been shown. As long as we pick and choose who we love and let our emotions drive our decision (or indecision) to love, then we have no witness in this world for that is not how God treats us daily. He always loves us no matter who we are or what we’ve done, and He proved it by the cross. Who do you need to love? Is it a spouse or coworker or neighbor? Will you join with me in choosing to love them in spite of them? That’s what God wants – love for love’s sake – not for our sake. Timothy’s sister, Sarah, was very ill and in the hospital. This concerned Timothy very much. He looked up to his big sis, and she was his whole world. Timothy was 5 and Sarah was 8. As the treatments continued the doctors determined that Sarah needed a blood transfusion in order to save her life. They began the search for who would have the right type of blood to save Sarah’s life. Timothy even had his blood tested. He didn’t like the prick, but it was worth it for his big sister. After the tests were completed it was determined that Timothy was a perfect match as a blood transfusion donor for his sister. They explained the procedure to Timothy, and after only a little bit of convincing Timothy agreed. The doctors quickly got everything ready, and before he knew it Timothy was laying on a bed next to his sister. She had all sorts of tubes and machines connected to her. Her eyes were closed, but Timothy smiled as he looked at her. He was saving her life. Not long after the procedure began Timothy began to silently weep. No one noticed at first. When Timothy’s mom realized he was crying she went to him and asked him what was wrong. Everyone in the room froze as the impact of the question set in. Timothy agreed to the blood transfusion, but in his mind he was giving all his blood – his very life – to save his sister. This five year old had given the greatest sacrifice so that his sister could live. What would you give so that others would live? There are many things that you can give to bring life to others. You can give time, prayer, effort, money, services, etc. Jesus said that the greatest love someone could show is to give their life for their friends. Then Jesus called his disciples friends. How much do you give so that others can live? Do you give your time, money, effort, prayers? 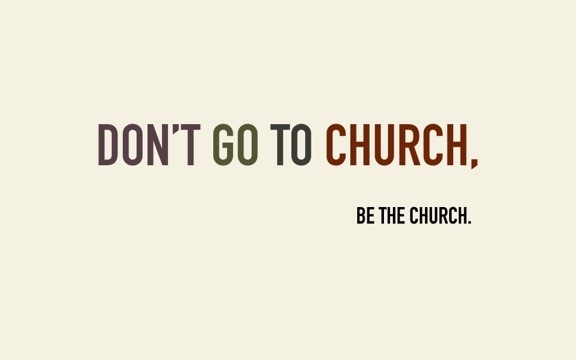 Many people go to church each week but are merely consumers of all that goes on there. Then, if things aren’t going their way, or if they aren’t being “fed” what they desire to consume, then they are the loudest complainers. Are you one of these consumer Christians? In 2 Samuel 24:24 David wanted to worship God in sacrifice. The landowner offered to give him the land and the sacrifice. David could have consumed these goods and given little effort to worship God, but he refused. He refused to worship God in a way that cost him nothing. We are called to make sacrifices every day and in many ways. In our churches we are called to make sacrifices of praise to The Lord. But we are also called to give. It won’t kill you to give, but many people act like it will. If you are giving pocket change each week I challenge you to dig a little deeper until you feel the pain of sacrifice. If you aren’t giving at all, I challenge you to get started right away. Giving is a blessing when you do it. Even God promises to pour out copious amounts of blessings on those who give in Malachi 3. So let’s be people who give. And let’s watch together as our giving provides new ways for people to come to life in Christ. I love to climb. You may not have realized it looking at me, but I really love to climb. I love the challenge. I love the scenery. I love the camaraderie of other climbers around encouraging one another. I love the feeling of success at the top of the climb. I’ve been climbing all my life. When I was a boy I’d climb things that were probably way above my safety level considering I had no harness or ropes. I was always in the tops of trees. One of my favorite things to do as a boy was to climb cliffs up on Bull Shoals Lake in North Arkansas. Then, when I reached a sufficient height I’d jump off into the crystal-clear waters below. I love climbing mountains. I’ve stood on the summit of several peaks in several different states. There is no feeling like being on the summit of a majestic mountain and seeing the wonder of creation all around below your feet. My favorite mountaintop experience was when I climbed Sawtooth Peak in California at daybreak alone. I watched the sunrise from the summit and cried as God painted a masterpiece just for me on His sky canvas. I don’t like to fall, though. When I was at Harding I would ride my bicycle out to Bee Rock overlooking the Little Red River just to climb around on that horrible, brittle limestone. One time I was climbing and a friend was there (fortunately). I didn’t have ropes then – I was a poor college student. I got about 15 feet up an area I hadn’t climbed before when my handhold broke off the rock. When I hit the ground I was horizontal and landed in the fork of a tree that split at the ground among the large rocks that had flaked off the cliff through the years. It wasn’t pleasant. Falling is not pleasant. It’s fun to climb with others. It’s great to encourage one another along as we climb. It’s fun to try hard for something and fail over and over but know that your buddies are going to keep encouraging you until you succeed. Then, when you do succeed, there’s the screams of exaltation as together you celebrate. It’s also better to fall with others. If you fall when no one is around there is a greater chance of dying. If you have a partner or a group there is encouragement and rescue. A friend can help or get help. They can carry extra loads for you or even carry you through your injury. It’s so much better to fall in company rather than alone. We are all climbing. We all long to reach the summit of our life. Are you walking alone? The beauty of the church is that no matter if you’re a great climber in this mountain we call life or if you constantly fall and have to start again you are not alone. The church is there to encourage you and lift you up. It is there to celebrate with you when you reach the summit. 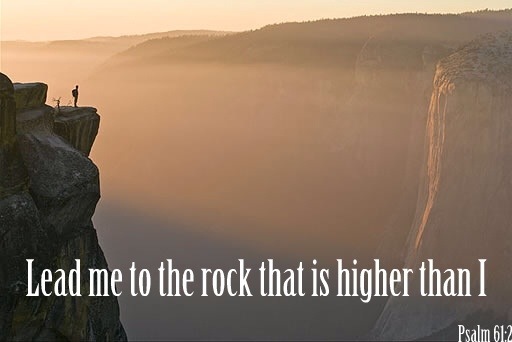 The church recognizes that we all are climbing the same mountain. We may not all have the same style, but we are in this together. The church stands inviting you to climb with them. You get your gear when you give your life to Jesus, and the goal is to look and climb more like Him each day. Then, when you’ve climbed as hard as you can – no matter what height you reach – you achieve the summit, heaven. And there’s a celebration in your honor. So keep climbing. Climb with me. Lets climb together. 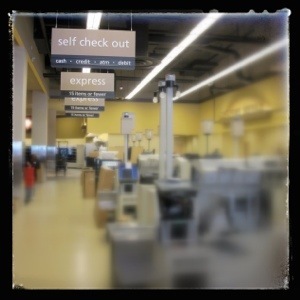 The other day I was in a grocery store checking out in one of their self-check lines. As I was scanning my items I noticed that there was a price discrepancy with one of my items. It was a minor issue, but it was the second time I’d noticed it for that item, so I decided to let the closest cashier know. She told me I needed to let someone know about that. Seriously, that’s what she said to me. I told her I thought I just did, and she told me I needed to alert the management. Well, I have no idea who the managers are in this store, so I asked her if she could get one since I didn’t know them. Fortunately, she did, and everything was resolved smoothly. However, it got me thinking about how much I see this attitude in all walks of society – even our churches. This woman basically said “someone should do something about that”. It didn’t dawn on her until later that she was the person who needed to do something. Once she finally realized her role in the situation things happened the way they were supposed to. Have you ever seen something that needed to be done and thought “someone should do something about that”? I know exactly who is supposed to do something. YOU! We pray to God to send someone to reach our friends for Christ. Well, He sent YOU! We walk into the church buildings and criticize something that is out of place or broken, and by your diagnosis you are probably the best person to do something about that. You’ve noticed what others have missed. Congratulations! You have a role to fill. When we relegate the responsibilities that God has given us to others who are “supposed to” be doing that then we miss out on our calling from God. Is your friend ill and in need of some yard work? What a great opportunity to serve in the name of Jesus. What if Jesus looked down upon earth at all of us rank heathen sinners and simply said “someone should do something about that”? We’d still be lost in sin. Thank God He didn’t. But He calls us to emulate Jesus in our lives as well. Is there something that needs to be done? Do it! Or find someone who can and offer your help. What can you do this week? How can you glorify God by no longer hoping someone else would do the things you have been called to do? May your life and the lives of those around you be blessed as you realize your potential in Christ. No Matter What: Unity must come first. I was born in South Texas. Before I was born, my mother became friends with another lady from their church who had a son a few months before I was born. From the day I was born we have been friends. I only see him on a rare occasion any more, but when we have seen each other over the years, we have picked up where we left off and had a great time. In fact, it’s wonderful to know that he is still my friend. When we were boys I gave him a black eye, and when we were teenagers I knocked out his front tooth while playing basketball in my driveway. Does he believe the same things as me on certain hot-button issues? I don’t know, and I don’t really care. I find peace in knowing that he is simply my friend – no matter what. Isn’t it great to have friends like that? Do you have friends like that? Do you have friends that it doesn’t matter what they do or what they believe because you’ll be friends with them no matter what? In our churches and in society today we are very opinionated on what is truth and what is not. We hold our guns to what we believe, and we are proud to do so. In election years we make sure everyone knows who we are voting for, and we treat those who are voting the other way like they are mere morons. Is that friendship? Is that unity? As Christians, I can’t find anyone who would argue against the idea that we are called to love one another. It’s one of the two greatest commands. In that, however, we are called to unity. Jesus said that all people will know if you are a disciple of his if you love one another. We who are strong ought to bear with the failings of the weak and not to please ourselves. Each of us should please his neighbor for his good, to build him up. For even Christ did not please himself but, as it is written: “The insults of those who insult you have fallen on me.” For everything that was written in the past was written to teach us, so that through endurance and the encouragement of the Scriptures we might have hope. May the God who gives endurance and encouragement give you a spirit of unity among yourselves as you follow Christ Jesus, so that with one heart and mouth you may glorify the God and Father of our Lord Jesus Christ. Accept one another, then, just as Christ accepted you, in order to bring praise to God. We are not called to make sure the other person completely agrees with us before we will accept them as a friend and love them. 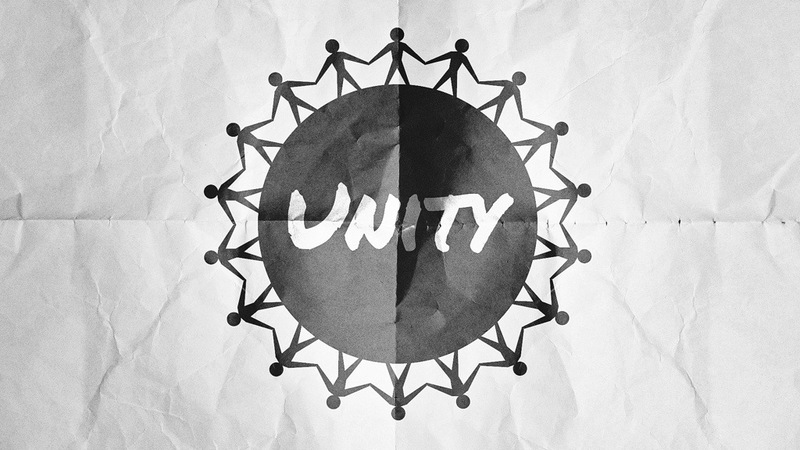 We are called to unity first. We are called to love first. Then, as we grow in love for them we have the freedom to express our differences in the safety of that love relationship. You may completely disagree with the social stances of your brother or sister in Christ, but you better not disown them. You may not agree with the doctrinal conclusions of a certain denomination, but you have no right on this earth to condemn them. You are called to love them, and show others your Christ-likeness by your love for them. Sure, you can disagree. It is good to disagree. If we always agreed on everything then someone in this relationship isn’t thinking for themselves. But when we place ourselves on the seat of judgment in condemnation of another person because they disagree with us on some issue, then we take God off that seat in order to do so. My friends, that is idolatry, and the god you are worshipping is yourself. Jesus said that if someone isn’t against Him then they are for Him (Mark 9:38-40). The next time you feel the urge to condemn someone for their views remember what Jesus says. Remember what Paul said. Act accordingly. When we bear with one another and love them regardless – no matter what – we will find that we are much happier…and they are too. So, lets be people of peace and unity. May we find ways to encourage one another and build one another up in the faith. And, in all things, let us love one another deeply as Christ has loved us. Remember, He didn’t die for you once you finally got your life right; He died for you while you were still a rank, heathen, sinner also known as an “enemy of God” (Romans 5:10). Let us treat one another in like manner – no matter what. If you’d like to discuss this further, then feel free to comment on this article at http://www.mrdobbs.org or shoot me an email at jddobbs@verizon.net. Blessings to you as you seek unity no matter what. Have you ever had one of those days? You know the kind I mean. Maybe your car broke down after spending a couple thousand dollars to get it working just two months before. Maybe you’re out of a job, and the company you want to call you for an interview just turned you down. Maybe you can’t even get an interview at all? Maybe you studied really hard for that test only to fail. Maybe the person you love most of all treats you poorly without remorse. Maybe you’re out to lunch before a big, important meeting and you spill marinara sauce all over your blouse, and there’s no time to run home and change before meeting these priority clients. Maybe you just got fired. Maybe someone you loved just died. Some days are definitely better than others. As in all things we have a choice how we approach days like this. I’ll admit that some days you just get blindsided and no matter how prepared you think you are, you really aren’t ready for this kind of day. Yet, even when blindsided we have a choice. Some people, when dealing with trying times such as these, choose to retreat back into their shell and succumb to depression. Some people become high stress and blow up at any given moment. Some people can’t move forward or back because they are dumbfounded as to what to do next. Yet some people deal with life’s unexpected dilemmas with ease. How do they do that? I’ll admit it…the first scenario in the list of possibilities happened to me this week. My first instinct was to tense up and be hot-headed about the situation. 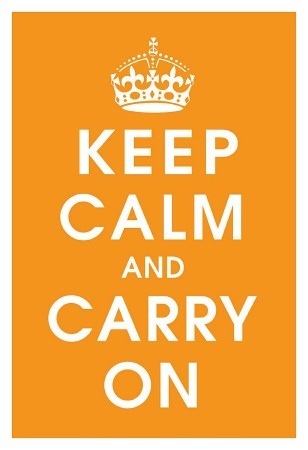 How do people keep calm in all things? When I had the issue with my vehicle I had a choice. On a normal day I wouldn’t have been ready, and I would probably have snapped at my wife and kids because of my immediate stress. That particular morning, however, I woke up early, and before I ever got out of bed I did my daily reading in the bible and in another book I’m engaged in. I spent some time in prayer, then I got up to fix breakfast and start my day. I started the day in the word of God and with prayer. I really think that is what kept everything in perspective for me. It wasn’t nearly as hard to keep calm and not react. Through the day I prayed over the problem and looked at my engine. I didn’t fret about it. I just prayed. The prayer I prayed was that it would be an easy fix (I should have prayed for a cheap one too), and when I identified the problem it was extremely easy to replace the part that had malfunctioned. You see, starting my day in the word and in prayer put me in a place of different perspective. I am constantly thinking about God and how to serve Him, but it is when I pray and read His word that I truly come into connection with Him. It is then that I can go through my day trusting Him to be my guide. Face it. When you are frustrated or anxious about something, it is because you don’t trust that God will really come through for you. I know because I have been there too. Let me tell you a secret. It never gets any easier. I don’t know anyone who finds it easy to trust God. Oh, sure, they get better at it, but it is difficult to trust someone whom you cannot see face to face like you see your sister or friend. Yet, when we trust God fully we come into a perspective that will change our lives – literally. And the more we choose that perspective and see how He works in our lives, the more evidence we get that He really is working and will continue to do so. When we trust God to guide us – when we trust that Jeremiah 29:11 and Romans 8:28 are true – then we can be confident that it doesn’t matter what happens in the circumstances in which we find ourselves. When we trust Him we can know that either way it works out in the end, He is still working things out for our good. Do you trust Him? Can you believe that it really doesn’t matter whether or not things work out the way you want them to? Can you believe that He has your best interests in mind no matter what? You may not have experienced His workings in your life like that. Maybe you prayed for something and the opposite happened. Does that mean He doesn’t care about you, or He isn’t the good God that I make Him out to be? No! Again, it means our perspective is off. Jesus said that when we pray God is the one who gives the gifts, and when He gives these gifts He always gives what is best for us. We may not understand it or even like it at the time, but it is what is best. If our focus is to look for how God is making things better for us, then we don’t have time to get down in the dumps over a situation. We don’t have time for anxiety. We have no reason for stress and anger. This week I challenge you to start your day in the word of God and with prayer. YouVersion.com (which also has a mobile app for all platforms) has some great reading programs to spur on your commitment to being in the word. I challenge you to be persistent in prayer about everything. And may God show you just how good He is to you. If you’d like to discuss this further, I invite you to comment on my blog at http://www.mrdobbs.org or shoot me an email at jddobbs@verizon.net. God bless you as you look for His guidance each day!